Join Kamalani Academy on its first day of school and take a peek inside classrooms as students and teachers get to know each other. 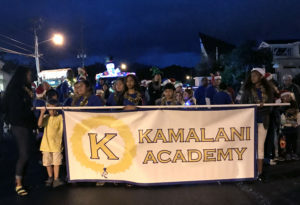 Kamalani Academy looks for ways to bolster school spirit, while school leaders grapple with retention issues behind the scenes. 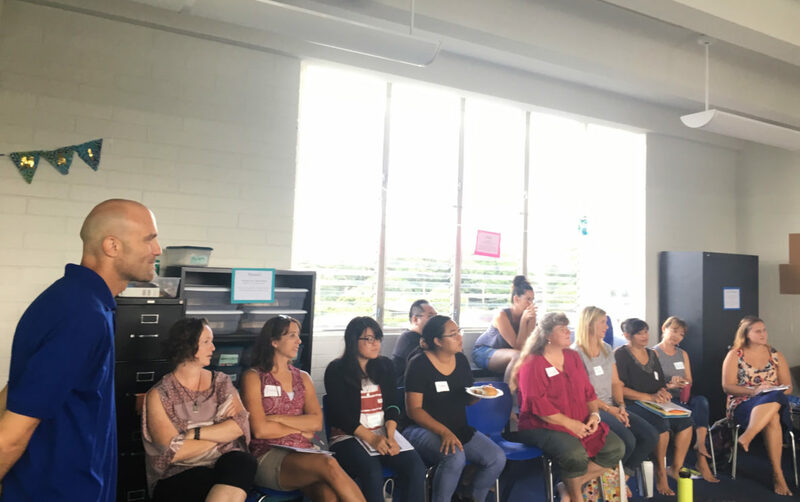 Kamalani Academy teachers talk about their journey to the classroom, and the triumphs and pitfalls of starting a new charter school. 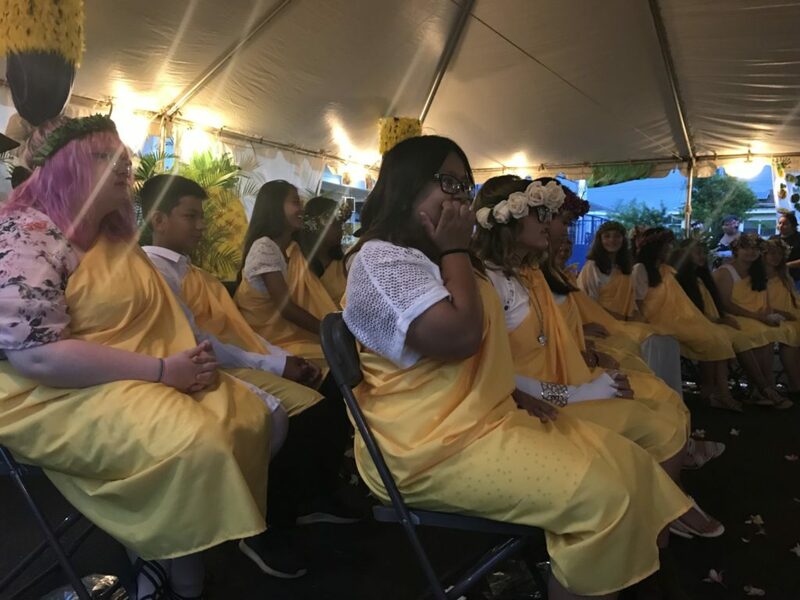 Eighth-graders at Kamalani Academy wait to be called on at the school's first graduation ceremony. The K-8 school hopes to expand to high school grades in the near future. On the first day of Kamalani Academy’s inaugural school year, Katie Jackson stood in front of a room full of middle school students dressed in crisp blue T-shirts and tried to prepare them for a year full of firsts. “It is not a mistake that you and I are going to be in the same classroom for the next year,” she said over the whir of a ceiling fan. Jackson was one of 14 teachers at Kamalani who had signed up for a journey they hoped would be as exhilarating as it would be challenging: Opening a new charter school. 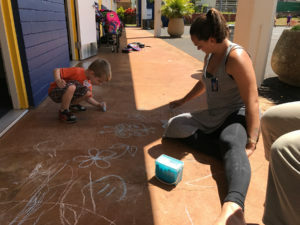 But within a few months, Jackson was gone — along with a half-dozen other Kamalani teachers and several support staff by the end of the school year. Jackson had tried to prepare the kids for a big school year ahead. But she wasn’t prepared herself for how tough it would be to make it through so many firsts. “We had no roadmap really for opening a school.” — Steve Davidson, vice chair of Kamalani’s governing board. 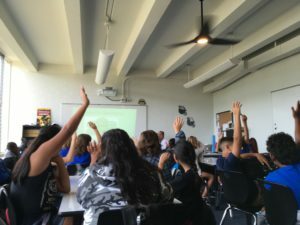 Reporters from Civil Beat spent dozens of hours at the Wahiawa school last year for “On Campus,” a podcast series chronicling Kamalani Academy’s first year — from campus construction to the last day of classes and unexpected resignation of Kamalani Principal Jeff Vilardi just a few weeks later. 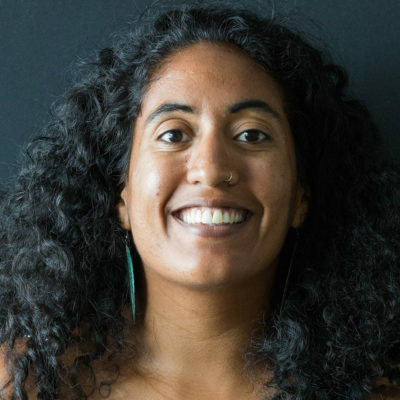 Kamalani’s struggle to retain teachers punctuated a tumultuous first year, as school founders tried to build towards their vision of a joyful arts-focused alternative to public schools often criticized for high teacher turnover, outdated classrooms, and a lack of innovation. Nobody thought it would be easy, but the unexpected challenges in Kamalani’s first year reflect broader issues that many charter schools in Hawaii are grappling with. Kamalani’s governing board points out there is no hand-holding from the state agency that approved the school. “We had no roadmap really for opening a school,” said Steve Davidson, vice chair of Kamalani’s governing board. It’s here in an open conference room at a local arts nonprofit where Laumatia suggests meeting to reflect on Kamalani’s first year. Kamalani founder Kuuipo Laumatia and Rep. Marcus Oshiro at a celebration marking the school’s opening. Her dream is to make learning fun through arts and culture. Laumatia doesn’t have a background in public education, but the Native Hawaiian mother of 10 wanted to start a school to shake up what she calls Hawaii’s tradition of being stuck in a rut. The perfect school, Laumatia envisioned, would make learning individualized and fun. It would be a place where kids would learn about Hawaiian culture and teachers would use art and music and theatre to teach core subjects like science and math. Listen to Episode 1 — Learn more about the origins of Kamalani and what it takes to open a charter school in Hawaii. 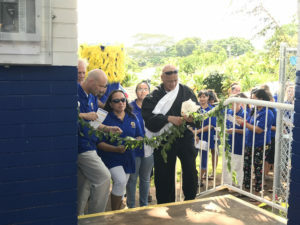 Kamalani opened in 2017 with an enrollment of 311 students. 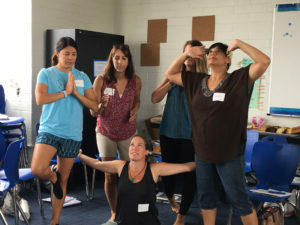 The school’s 14 kumu, or teachers, worked with a drama instructor and created lesson plans that melded arts and Hawaiian culture into standard school subjects. The school found ways to incorporate movement and drama in non-traditional places, like Cliff Lim’s middle school science class where students used their bodies to recreate diagrams of eccentric machine inventions by Rube Goldberg, a Pulitzer Prize-winning cartoonist. Listen to Episode 6 — Hear more from Cliff Lim on the ups and downs of teaching at a startup charter school. And before she left Kamalani, Katie Jackson introduced a Harry Potter-inspired leadership program called the “hale” or “house” system based off J.K. Rowling’s now ubiquitous fictional school in Scotland. Instead of Gryffindor and Slytherin, students picked animals like the hammerhead shark and geckos as stand-ins for official Hawaiian hale names. 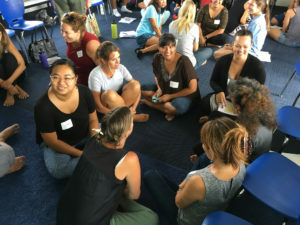 The goal was to develop a sense of identity and belonging among Kamalani students and staff, and — despite the system’s medieval European origins — reflect Hawaiian culture and values in a way that would impact student behavior. Listen to Episode 4 — Dive deeper into the hale system and Kamalani’s efforts to build school community. Kamalani science teacher Cliff Lim found creative ways to conduct science experiments with his students. Kamalani’s fledgling Parent Teacher Student Organization, or PTSO, raised funds with local businesses for an overnight trip to Hawaii Island for all of the school’s fourth graders. 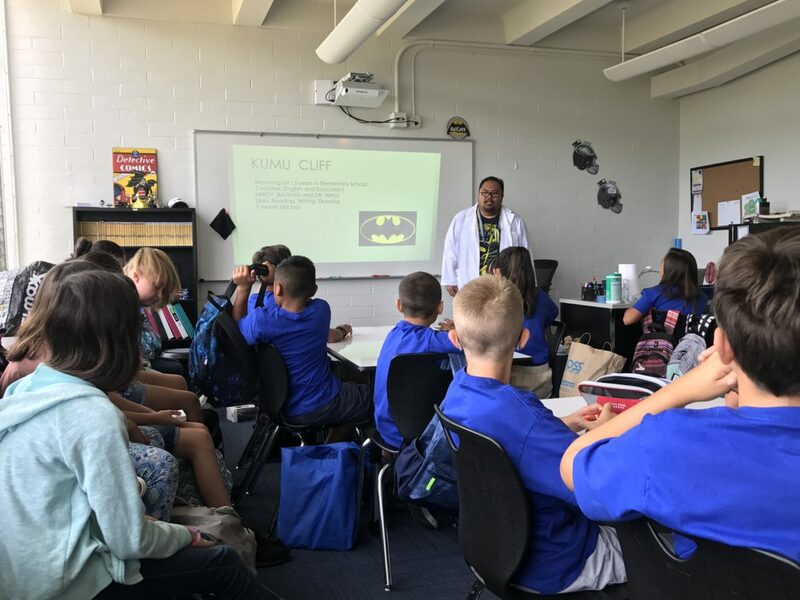 And the school recently joined the prestigious Kennedy Center’s Partners in Education, a program that provides support and teacher training for school arts programs. But not everything turned out the way that Laumatia imagined. Despite efforts to build a culture of creativity, collaboration, and belonging, Kamalani faced a multitude of challenges with staff turnover and figuring out exactly how the school should be run. 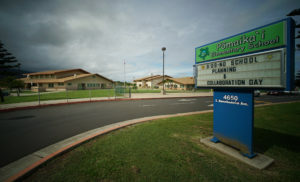 Kamalani won’t be bringing back its pre-kindergarten program, which ended mid-year after the school was unable to find a permanent location for the initiative. “I think maybe we just did things a little bit backwards last year,” she said. 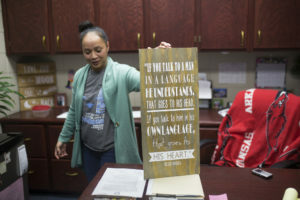 Decisions by Kamalani Principal Jeff Vilardi and the administration weren’t always in the spirit of the school she’d envisioned. But Kamalani’s most visible problem was teacher retention. The school struggled with staff morale early on. Teachers — many of whom were newcomers to Hawaii and didn’t have a background in arts education — said they struggled with the curriculum, as well as engaging students and teaching Hawaiian culture. Even local teachers weren’t sure they were always getting it right. “I know the culture. But I’m not Hawaiian,” science teacher Cliff Lim, who was raised in Kalihi, said. Sometimes he felt like an outsider intruding onto something he shouldn’t touch. Finding ways to fit in art-based learning across different ages and grade levels also proved challenging for teachers. Listen to Episode 5 — Hear the conversation between Kuuipo Laumatia and an arts integration consultant on teacher retention and building school culture. Laumatia told Takemoto, who helped found an arts integration public school on Maui, that she felt like teachers weren’t feeling joy at Kamalani. 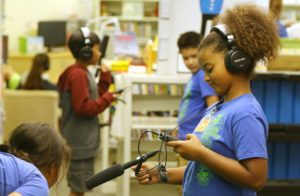 Listen to Episode 8 — Get a glimpse inside Pomaikai Elementary School, an arts integrated public school on Maui. Teachers said they didn’t feel supported by the school administration. They’d need to make multiple requests for help with difficult students, getting classrooms cleaned, or school dismissal. And their small staff didn’t feel like the ohana, the family, that was promised to them. 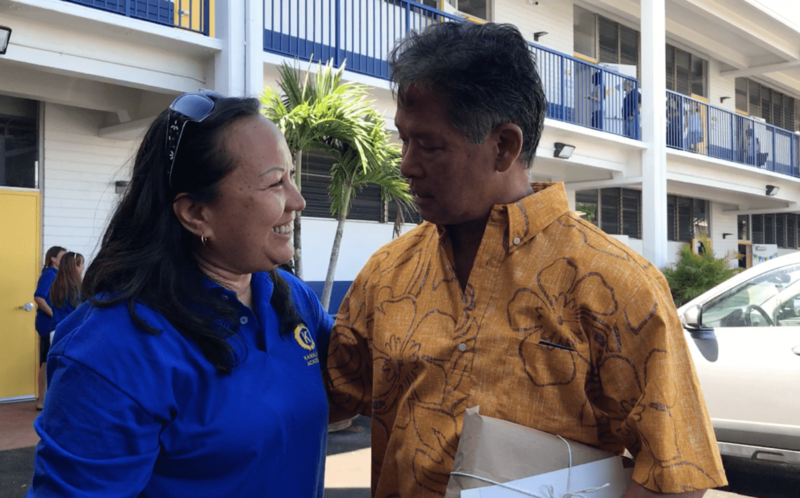 Kamalani’s challenges with staff and school culture point to the complicated relationship the charter school system sets up between principals and governing boards. At traditional Department of Education-run public schools, principals have multiple bosses above them. But at charter schools, the buck stops with the governing board. Laumatia and Steve Davidson, the vice chair of Kamalani’s governing board, spent years working on getting Kamalani Academy open. Coming up with the vision, writing the application, re-writing the application, finding a company to help them navigate contracts and building codes. Then they hired a principal, and handed over day-to-day management of the school to him. There are purposefully fewer layers of bureaucracy at charter schools, but that also means there are fewer layers of support. Building a clear system to oversee the principal was not something the school’s governing board was thinking about when they opened the school. “We had a lot of other fires to put out,” Davidson said. As issues at Kamalani piled up, there was growing conflict among board members about how much of a role the governing board should have in the day-to-day operations. Eight full-time staff members eventually left the school, with at least two more resignations after the last day of classes. 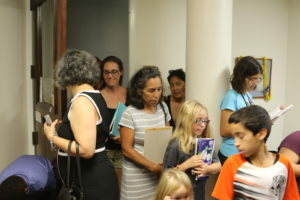 Teachers presented concerns about Kamalani’s principal, Jeff Vilardi, at a closed-door governing board meeting on June 28. Vilardi resigned a few days later. He declined to comment for this story. Laumatia said she didn’t learn until late in the school year that every charter school governing board should have a committee for principal evaluations. Kamalani had none. Kamalani Principal Jeff Vilardi listens to a presentation during teacher training at the start of the school year. Vilardi resigned after teachers complained about him. Now that they’re looking for a new school leader, Kamalani founders are revisiting issues from the first year with a more critical eye, looking for areas where their vision faltered. But Kuuipo acknowledges it might be too late to repair relationships with some of the teachers who left. The search for a new principal won’t begin in full until after an August governing board meeting. But Laumatia and Davidson say they are confident going into year two that things will settle down, relationships will be rebuilt, and there will be more joy. Despite the setbacks of Kamalani’s first year, the school is fully enrolled for year two. Laumatia’s not afraid to say things could have gone better this year at Kamalani this year. But she still says she’s seen tremendous growth from where they started. “I think we ended the year with the kids being joyful,” she said. On Campus was an ongoing project chronicling Kamalani Academy’s first year. Listen to Episode 10, the last of the series, below or download it on iTunes. On Campus is supported by a grant from the Solutions Journalism Network, a nonprofit organization dedicated to rigorous and compelling reporting about responses to social problems.